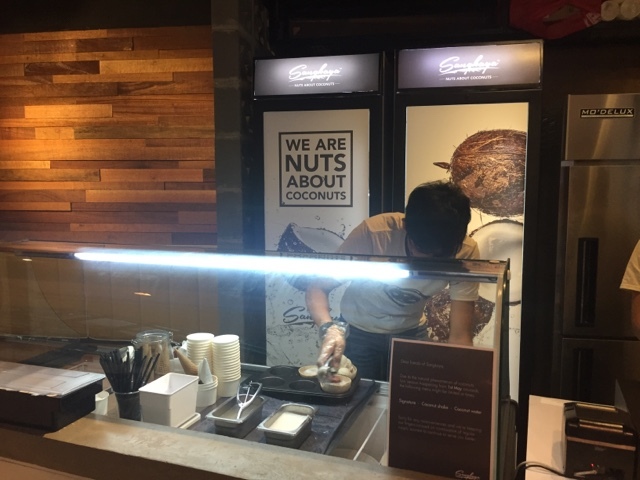 My first encounter with coconut ice cream which really left that lasting "wow" impression was our recent trip to Krabi. It was purely accidental, as there was a sudden downpour, and we were struck inside the little roadside restaurant so we decided to indulge in their dessert. 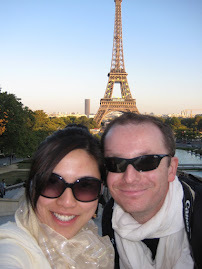 It left a lasting impression. 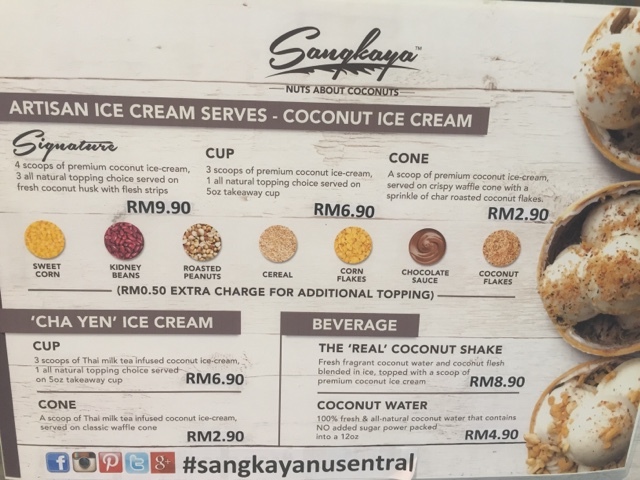 Naturally, when some friends mentioned Sangkaya and the coconut ice cream craze that's happening around, I had to try it for myself. I initially hesitated to take 4 scoops of ice cream, thinking that it's probably going to cost me a thousand calories (exaggeration here....). In the end, I didn't regret taking those big scoops as it was heavenly. First outlet I visited was the one at NU Sentral, at the top floor near the cinema. 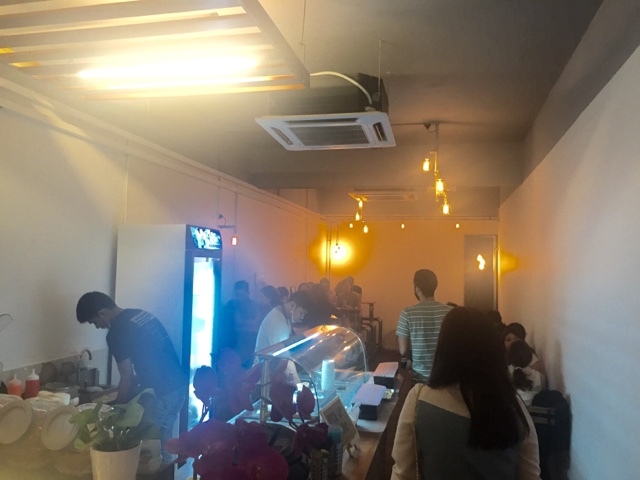 They have several outlets lined up ... some opened already while others are in the midst of opening. For people looking for ice cream alternatives -- meaning no dairy, this could be the key! 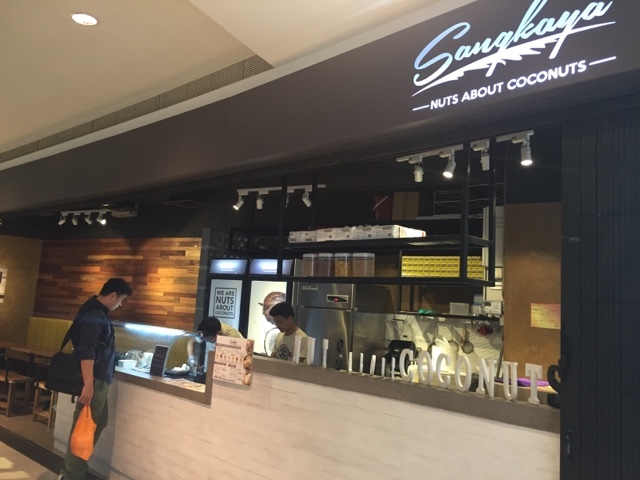 Sangkaya Coconut Ice Cream -- yum! 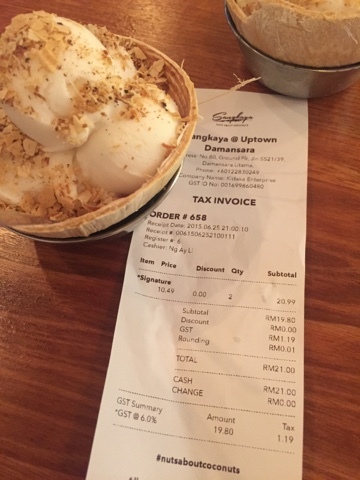 Their Menu : Try the signature inside the coconut husk! 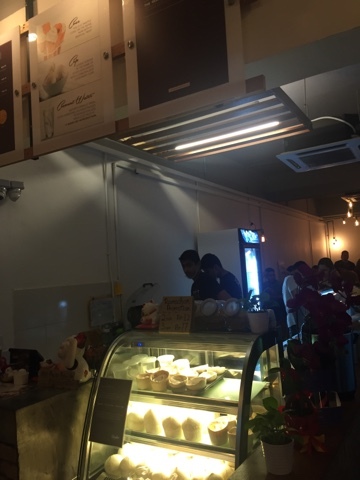 Very busy at Uptown even at 10pm in the evening! 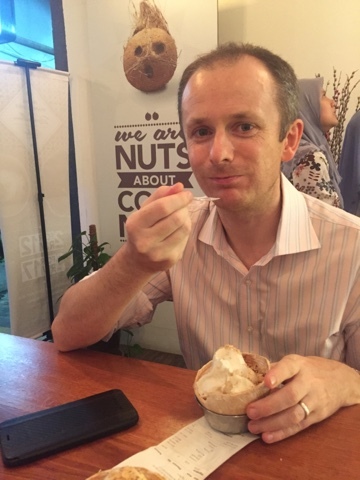 Having his first try of Sangkaya -- with lingering memories of Krabi! 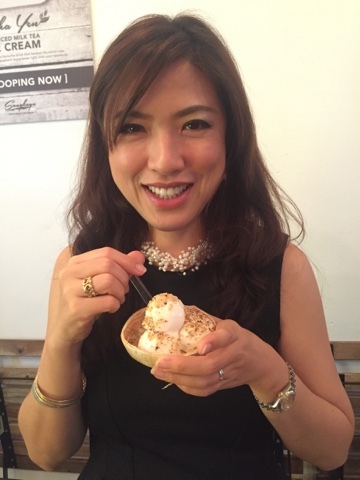 Happy Me -- indulging in coconut ice cream! 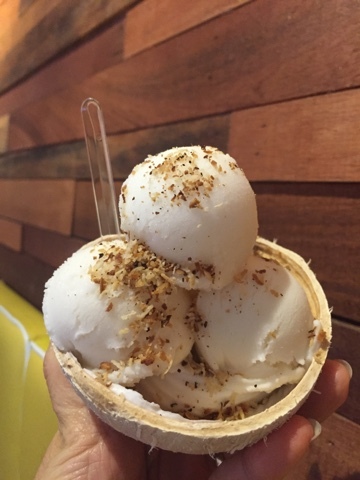 Happy Coconut Ice Cream to you!